The SABC's controversial boss Hlaudi Motsoeneng says "I don't believe in scientific research" and said in a yet another disastrous radio interview he's wondering if South Africans "really think properly". The limelight loving chief operations officer (COO) of the SABC who keeps talking and doing appearances where he makes jaw-dropping statements, did a live interview this week on Jacaranda FM's The Continental Breakfast show with Rian van Heerden. This interview likewise quickly went haywire on the air, in similar fashion to the disastrous recent interviews on Lotus FM, SAfm and eNCA's Maggs on Media that inflicted massive SABC brand damage on the public broadcaster's image. 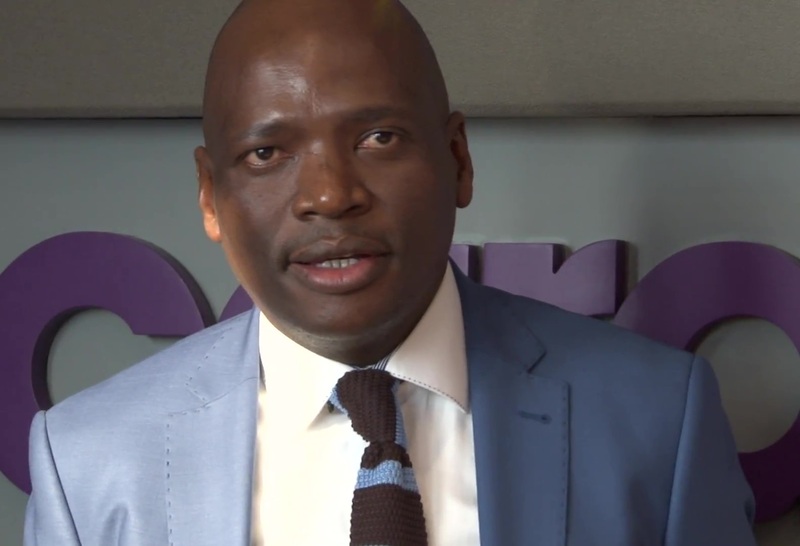 The 40-minute Jacaranda FM interview came after Hlaudi Motsoeneng's latest controversial diktat that SABC TV News will censor public protest visuals where there's images of property being destroyed with immediate effect, and that the decision won't be reconsidered. It's not clear why Hlaudi Motsoeneng is involved in editorial decisions since the COO is tasked with running the operations of the broadcaster. Hlaudi Motsoeneng said recently he has streamlined the commissioning process and told TV producers that they can now pitch shows directly to him. This week he said he is considering ordering all SABC staff to wear uniforms so that they can understand unity. In the Jacaranda FM interview Hlaudi Motsoeneng said: "You as South Africans. I wonder, really, whether you really think properly?" "Media, you go, and you are so excited about people burning schools. About people burning hospitals. I'm just giving example. Tomorrow you wake up there are no schools, there are no hospitals. We shall not even encourage it," he said. "People who are not thinkers, easy way is to talk about politics. We are not serving politics there. We are serving the public," said Hlaudi Motsoeneng. Asked where and what the scientific and market research is that the SABC conducted or used for the decision that visuals of violence on news leads to more acts of violence, Hlaudi Motsoeneng said "I interact with the audience". "I go to all this provinces myself and the team. People always raise this issues about people burning property". Asked if there's official market research the SABC has or conducted, Hlaudi Motsoeneng said "I don't need a company". He told Rian van Heerden: "You believe in scientific research. I don't believe in scientific research. I believe in practicality". "Even your research you believe, the scientific research, it will tell you, if kids grow in environment where there is fight, where there is war, I mean, they grow up as fighters also," he said. Hlaudi Motsoeneng said "my experience and my experience, it is a good research". In the interview, Hlaudi Motsoeneng said the SABC "must have people with good heart". "I don't see colour. I just see heart, if you have good heart for the organisation". In another decree last month, Hlaudi Motsoeneng suddenly said the SABC's TV channels will also go 90% local content, starting with SABC3 from July that must have 80% local content. Asked where the local content and quality programming is going to come from so quickly, Hlaudi Motsoeneng said: "This is the time for all South Africans to wake up and come with miracles". The SABC made a loss of R395 million last year but Hlaudi Motsoeneng told Rian van Heerden "we are R8 billion today, as we are speaking we are R8 billion company". Asked why, if he faked his matric certificate symbols as the Public Protector found in a report in February 2014, why he gave himself an "F" for History and not something better, he said "I'm not going to get involved there". Asked about his new 6-minute long "Hlau-di" praise song that the SABC unveiled last week, Hlaudi Motsoeneng said "people of the SABC love Hlaudi, there is no doubt about it. South Africans they love Hlaudi. It's life." Asked if its true that he's being paid more than president Jacob Zuma, he said "I don't want to dwell on the salary issue, but the fact of the matter, if I was working for a private company, I will get 10 million per annum". "I want to put it clear, anyone who's unhappy within the organisation, leave".